These buzz bands won't let you down in Austin. Go see them early and often please. Nobody reads the intros to articles -- even their writers. But anyway...here's a good intro for you. *but if you don't end up seeing any of these eighteen buzz bands we think you should really try to stop and see, no big deal, it's only rock n roll and the earth will continue to spin around the sun whether or not you check out the buzz bands, you know? Our eighteen buzz bands we think you should really try to stop and see are listed below in no particular order. Number eighteen buzz band buzzes just as much as buzz band number one. The alphabetical thing is just a fantastic coincidence. In summation, nobody reads the intros. awakebutstillinbed is an emoindiemathpunk band from San Jose, CA. Think shimmer meets aggression meets sadness meets elation meets pretty melodies you can totally scream-sing along to and you just might be thinking of your new favorite crew. If you like emoindiemathpunk (and honestly, who doesn't?) you will be a hundred times thankful you gave this good band a chance and saw them a hundredmillion times this SXSW. Blast their excellent debut album what people call low self-esteem is really just seeing yourself the way that other people see you to get you ready. Casper Skulls is a loud band from Toronto. Lucy Dacus is America's Next Global Icon. You heard it here FOURTH. 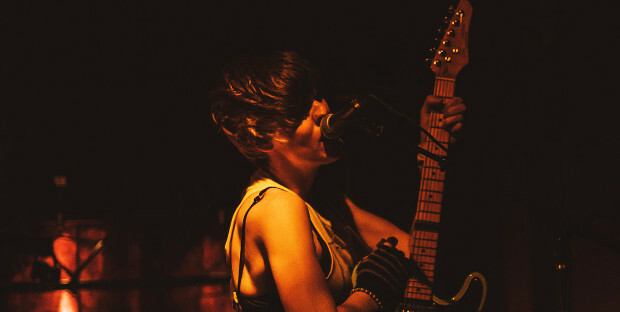 Doe is a punk pop* band from London. They're noisy and sludgy and crunchy. But you can sing along! There's all sorts of sweet harmonies going on that build into triumphant choruses. That's where the pop of punk pop* comes in. Girl Ray is a v. chill lo-fi power pop band from London*. Come for the jingle. Stay for the heartbreak. Linger for the easy breezy 100% fine vibes! Relax with their debut full-length album (via the always excellent UK label Moshi Moshi) if you like chilling with good records. If you don't like chilling with good records, never mind. Go listen to something else. And definitely don't go see this band play. You'll just hear more chill. And you don't like chill. 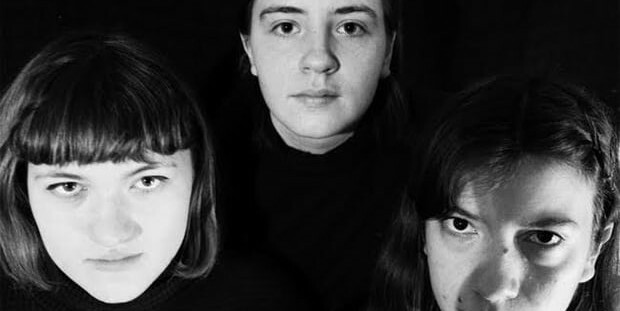 Moaning is a fun fuzzy lo-fi band straight outta Los Angeles. Think crunchy riffs meets noisy angularity meets the occasional synth to keep the strong melodies POPPING. This good band recently signed to some little record label called Sub Pod (?) so that's cool. Go see them seven thousand times this south by south by south by south by south by! The Vacation. Vacation. Vacations. Vacationer. On Vacation. Super Vacations. Space Vacation. Basic Vacation. Cult Vacation. Death Vacation. Vacation Jason. Better stop at Vacation Jason. These are some of the good Vacation band names we've listed on Oh My Rockness over the years. And now comes......Brooklyn's (via San Francisco) No Vacation. Guess what, though. There's plenty of room in your heart to love one more Vacation band! Especially if you love good dream pop (with pretty guitar parts and plenty of emo ennui). And who doesn't love dream pop? What are you, some kind of monster? Next thing you'll tell me you don't like vacation. "Steve" from Stranger Things was in this band. I don't believe "Steve" from Stranger Things is in this band anymore. 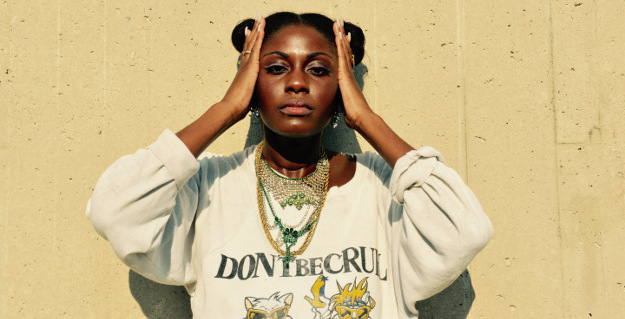 Sammus* is a rapper/producer from Ithaca, NY. Is this hip hop. Is this nerdcore. Is this punk. Is this pop. It's also dope as hell. 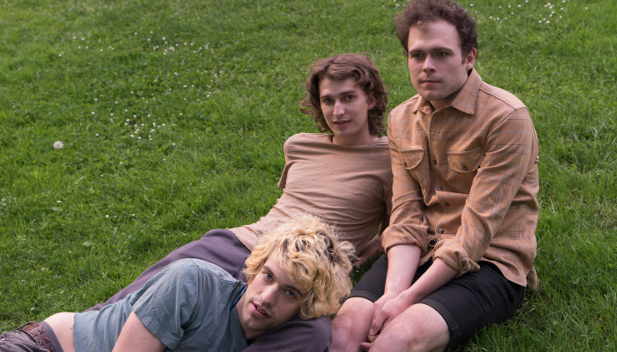 Shame is a post-punk band from London. Think post-punk.... meets..... London..... meets.... The Fall (RIP).... meets a good band. Go see them a hundred thousand times. And buy this good record (via Dead Oceans) while you're at it. Indie rock jams made possible by 18-year-old wunderkind Lindsey Jordan. Don't take your time getting to this good band's shows. Peeps are probably already waiting in line. You must hustle to hear this chill flow. Soccer Mommy (led by the super talented Sophie Allison) plays lo-fi bedroom pop soaked in melodic ennui. This twinkles and shimmers and glows. It puts the heart in heartbreak. The band's excellent new album Clean is out now on Fat Possum. Appreciate the ache. Love the glow. See Soccer Mommy a million times. Strange Ranger (fka Sioux Falls) is an indie rock band from Portland, Oregon (via Bozeman, Montana). And by indie rock, I mean whatever indie rock used to mean back in, say, 1997, when everything was the best -- especially in the Pacific Northwest. Think carefully constructed songs that slowly swirl towards something cool and congratulations you're now thinking of your new favorite band. Strange Ranger's second full-length album Daymoon (here's the first) was recently released by Tiny Engines (one of the best independent record labels going in the opinion of this music blob) and you should listen to it ASAP below if you like listening to good albums and/or indie rock. Take your time with this band. They'll grow on you. Meghan Remy and crew just scheduled three shows in one night in NYC and it looks like all three of them will sell-out. What does this have to do with SXSW? These idiosyncratic jangle jams slip, slide and glide all over the place and if you can keep up with the wonderfully erratic rhythms you shall receive your great reward in Heaven or, if that doesn't exist, right here on good old planet earth! Come for the riffs. Stay for the surprise hairpin turns. Don't fall asleep at the wheel. SXSW 2019: BADGELESS & BROKE? Find all the free shows and parties!